Dilip who undertook the 13.1 miles (approx 22 km) marathon had successfully completed it in 2 hrs and 45 minutes, 15 minutes below the target time. 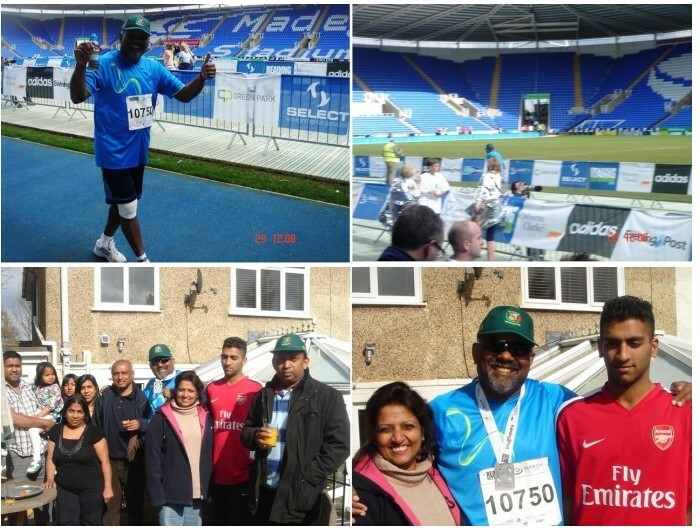 He took part along with 17,000 other participants, felt fresh and proud having completed it in Reading, London. 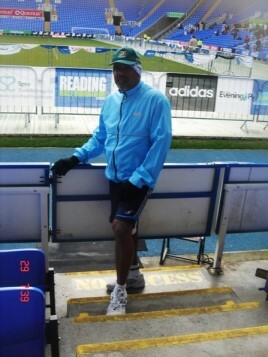 It is with such a joy of fulfilment that I am sending these few words of sentiments, which I consider a great achievement for myself to complete the Reading Half Marathon on 29th. March 2009. I have full filled my dream by not only finishing the race but also raising the funds, which is more than twice of what I originally targeted and now, I won't be surprised that it may even reach three times of that!. I have a confession to make now that I have finished my challenge. I did put myself through some strenuous training that I had hiccups along the way and I was even advised by my Doctor in a polite way not to run the race but he insisted that if was going to, then I should take it very easy and do it in my own stride. A few of my good friends who were concerned about me, were also going to donate funds towards my worthy cause for me not to run the race. But, God has been good to me and he gave me the strength and grace to accomplish. And, you will be surprise to know that, I did have enough strength to finish the race with a 50 meter sprint. I am quite touched by the inundated messages and phone calls, encouraging and supporting from the time I launched the appeal for which I am ever so grateful. I have said it before and I would like to say it again, I have no words to thank you all enough for your generous donations. God will Bless you many folds. I do hope and pray that I will be able carry on with this trend for years to come. We wish him well and thanks for all his efforts.